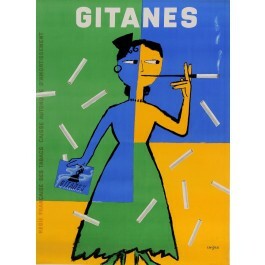 A beautiful poster realized by Savings in 1954, to advertise the famous French cigarette brand "Gitanes". Gitanes ("gypsy women") is a brand of French cigarettes, sold in many varieties of strengths and packages. Originally rolled with darker or brun (brown) tobacco, in contrast to 'blondes'. 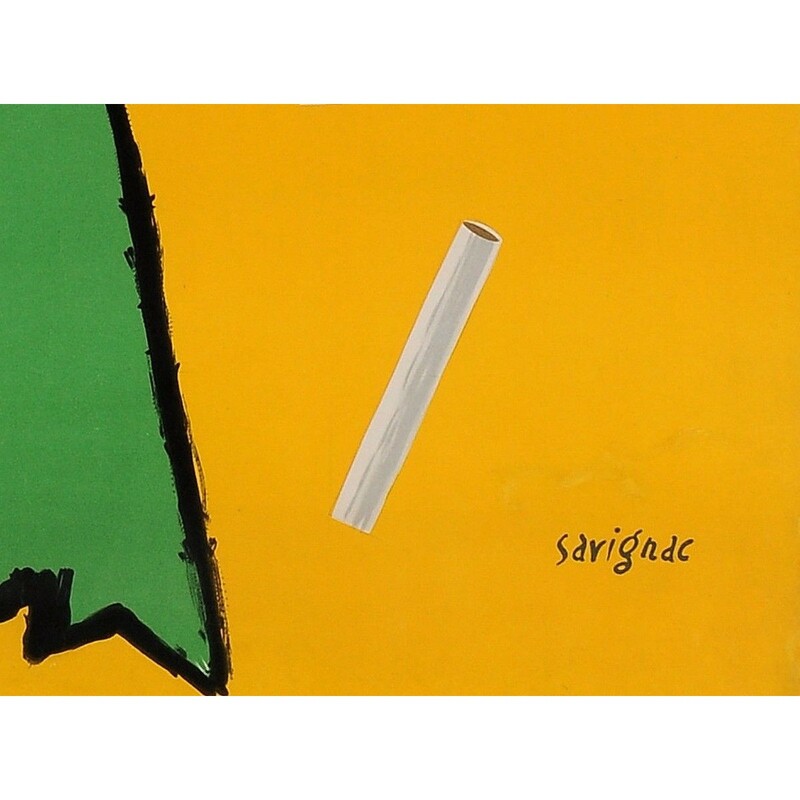 Raymond Savignac, often just abbreviated to "Savignac", was a French graphic artist famous for his commercial posters. He was born on November 6, 1907 in Paris, and died on October 31, 2002 in Trouville-sur-Mer (Calvados), aged 94. His work is distinguished by a humorous simplicity. This poster appears on page 165 in "Savignac Posters" Book published by Forney. A beautiful poster realized by Savignac in 1954, to advertise the famous French cigarette brand "Gitanes". Gitanes ("gypsy women") is a brand of French cigarettes, sold in many varieties of strengths and packages. Originally rolled with darker or brun (brown) tobacco, in contrast to 'blondes'. Raymond Savignac, often just abbreviated to "Savignac", was a French graphic artist famous for his commercial posters. He was born on November 6, 1907 in Paris, and died on October 31, 2002 in Trouville-sur-Mer (Calvados), aged 94. His work is distinguished by a humorous simplicity. This poster appears on page 165 in "Savignac Posters" Book published by Forney.